I Earned My Wings … Now What? 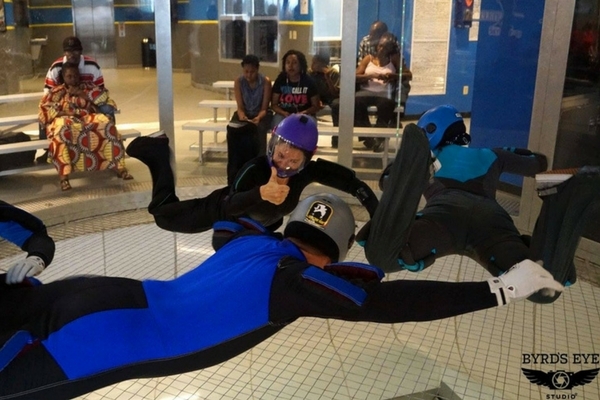 We can picture you just now, almost-floating out of the antechamber of the Paraclete XP wind tunnel, your enormous smile crowding out the goggles on your face. You’ve never felt anything like you just felt. You were levitating! You flew! You want more–as much more as you can get. You know you want to–and our Repeat Flyer Packages trim down the expense so that you can go in for a rematch. You’ll be amazed at how quickly your skills improve once you’re comfortable in the air. Go Further In Developing Your Skills! Now that you’ve officially exited the first-timer ranks, you’ll be stoked to learn that a clear path to greatness lies ahead of you. At Paraclete XP, you’ll find a smorgasbord of workshops and camps to help you develop the advanced skills you’ve been oohing and aahing over. Make This Part Of Your Lifestyle! Whether you’re a kid flyer or a great big grownup (kinda-sorta), you’ll find a tunnel flying league at Paraclete XP to suit you. 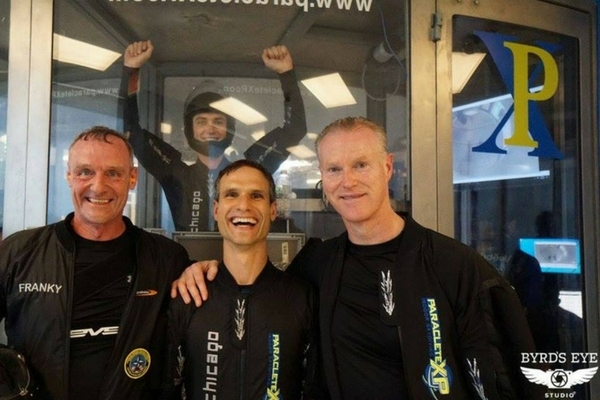 When you make tunnel flying part of your healthy, adventurous lifestyle, you’re sure to meet like-minded people (and parents) that will soon end up being the highlight of your weeks. Bonus: Think about how much more interesting your dinner parties are going to get! Want to see how far you can go in the sport? Check out a competition. 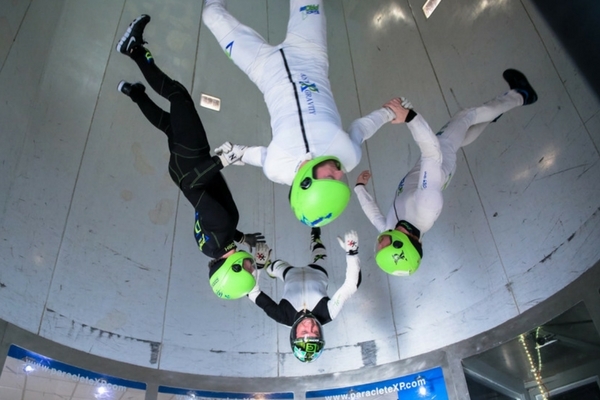 The comps at Paraclete XP attract the world’s top talent in every indoor skydiving discipline and present them right here in Raeford for your viewing pleasure. Bring the family and plan to spend the day, because this stuff is cool. Any solid tunnel flyer will tell you: The path to windytube greatness is paved with many, many hours of practice. 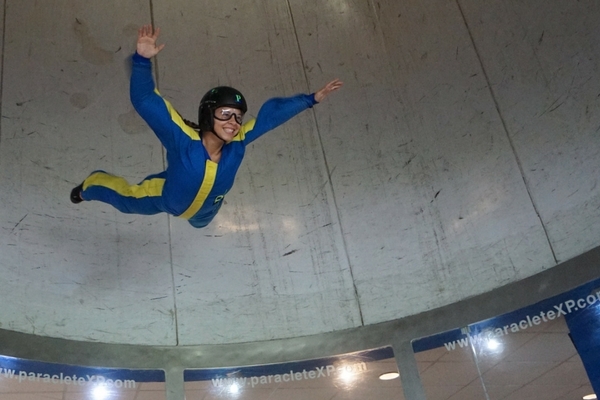 One of the very cool things about the Paraclete XP tunnel is the memberships we offer. These memberships greatly reduce the cost of tunnel time so you can focus 100% of your energy on the task at hand: Becoming a badass flyer. Ready to take what you’ve learned within the hallowed glass walls of Paraclete XP and give them a try in the sky? 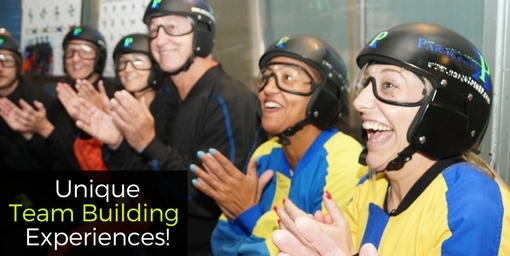 Head over to our sister dropzone–Skydive Paraclete XP— and book a tandem skydive. 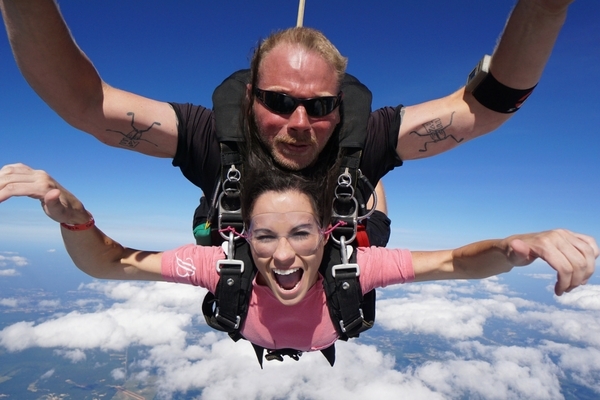 There’s a sweet little perk involved, too: If you book a tandem skydive on the same day you indoor skydive at Paraclete XP, you’ll enjoy 15% off your jump! No matter what you choose to do, we’re excited to see you take your next steps in the sport. We’re here to address any curiosities that might come up, so don’t be a stranger–contact us anytime!